Although the album title might suggest a combination of blistering black metal and heartless noise assaults, it’s actually 42 minutes of the former rather than the latter. Of course, this is no bad thing. 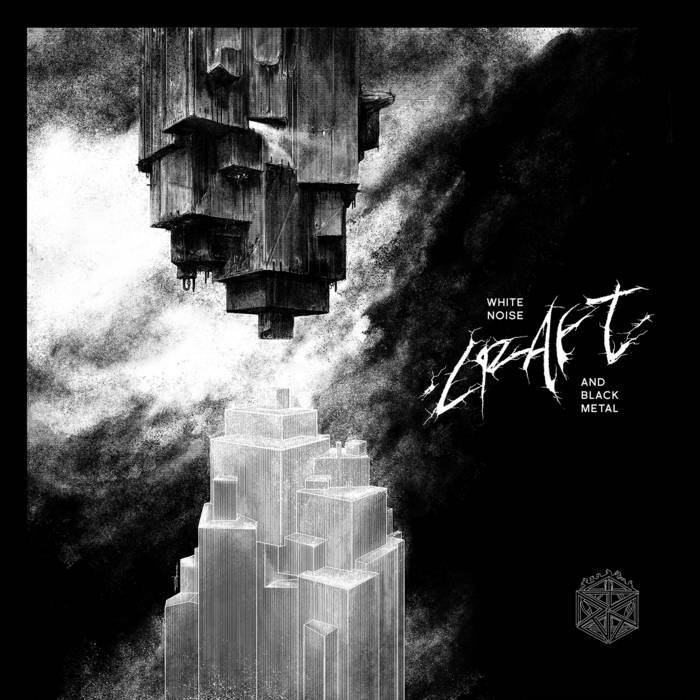 Craft’s black metal is mainly of the traditional, orthodox variety, although they have picked up a few different tricks over the years from the more modern strains of filthy black metal. The band have crafted, (ahem), quite an intoxicating blend of the primitive and the contemporary on this release, showing an easy mastery of both and driving their punishing, destructive black metal home with plenty of power. The music on this album is hostile and hateful, full of malignant guitars, misanthropic atmospheres, and malevolent melodies. The songs are very well written and nicely differentiated from each other; each track has its own space on the album, and the songs progress with an apocalyptic flow. The band use their sparsely deployed melody well; when it appears it’s forged in specific directions with purpose, before being subsumed into the blackened mass of the band’s core darkness once more. Alongside the obvious assets that fuel Craft’s blistering aggression, they also have an atmospheric streak that helps add depth to the music. As well as all of this though, I like that sometimes they just unleash a killer riff that you can really sink your teeth into. White Noise and Black Metal really does have a lot to offer. The production is nicely thick and dense, and allows the music to be heavier and more forceful than a lot of black metal. It is also another aspect of the album that helps to give the band’s largely classic delivery a modern edge. White Noise and Black Metal is a thoroughly enjoyable slice of darkness. Existing where old and new collide, this is a surprisingly substantial and wide-ranging release. Although it would be easy to view an album as outright aggressive as this as quite one dimensional, it really isn’t. There’s a diverse range of engaging content on this release, and Craft have outdone themselves. This entry was posted in Black metal and tagged Black metal, Classic Black Metal, Contemporary Black Metal, Craft, Metal, Modern Black Metal, Orthodox Black Metal, Traditional Black Metal. Bookmark the permalink.